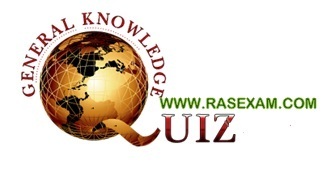 QUIZ 12: General Knowledge Questions from various examination as part of QUIZ Time. Here is Sample Question paper with Selected Questions covering all these topics. 1.Which is the busiest Airport of India ? 2. Which is the highest layer of the atmosphere from the earth ? 3. Which Telephone No. will be always be engaged when you dial it ? 4. Photocopying machines are now known as Xerox Machine because they were popularised by ? 5. The weight of heart is nearly ? 6. Where is the office of permanent secretariat of SAARC located ? 7. Which of the following has not been facilitated by the Wisden cricket award ? 8. Tribology is the scientific study of ? 9. Subhas chandra bose setup the provisional govt. of free india in ? 10. Which of the following constitution amendment acts contains provisions related to Panchayati Raj ? Answer (9) is SINGAPORE,...please correct it.